Best Ways to Apply Loose Eyeshadow - Make the Most of Indie Makeup! I love loose eyeshadows. I know that many of you are intimidated by loose eyeshadow because you feel like it’s a mess to apply. So today I’m going to tell you the best ways to apply loose eyeshadow, in addition to other tips and tricks so that you can feel more confident using loose eyeshadow. Now, I have oily hooded lids. So in addition to a good eyeshadow primer, I really like to use a sticky base or a mixing medium. I’ll be sharing examples of those as well. PR + Purchased by me. This post was originally written in 2013 and has been updated to include more information and video for 2017. I love this lip combo of Urban Decay Hex pencil coupled with Conspiracy lipstick! It’s such a gorgeous Fall shade. These three brushes are the best brushes I’ve found for using with loose eyeshadows. The Urban Decay Moondust Brush is perfect for applying loose eyeshadow or glitter shades. The Kat Von D Glimmer Brush is great with super sparkly shades. The Makeup Geek Foiled Brush works well with loose glitter or semi-loose eyeshadows. You absolutely need a sticky base. Fyrinnae’s Pixie Epoxy and Too Faced Glitter Glue are my two favorite sticky bases. Violet Voss Secret Weapon is good as well. Darling Girl Glitter Glue is now called Darling Girl Glitta Grip and it’s also an excellent choice. Granted, Too Faced Glitter Glue is the easiest to get ahold of, so it’s probably the best one to start with. If you are working with loose eyeshadows and not using a mixing medium or foiling product, here are the steps you need to take. Take a bit of your loose eyeshadow color and put it into the lid of the container, or a mixing tray, whatever you prefer to use. Dip your brush into the loose eyeshadow and tap off any excess product. This is extremely important! You can even give your brush a shake to make sure it’s got off all the excess. Pat the color onto the lid, slowly. This will minimize fallout. Although it may be true that you can apply your foundation first, I prefer to apply my eyeshadow before I do any other makeup so that I can clean up any fallout under my eyes. However, if you like to do the rest of your makeup first, put a lot of extra translucent powder under your eyes to catch the fallout. Then you can simply sweep it away. Dip your brush into the loose eyeshadow and tap off any excess product. Apply your foiling or mixing medium. I prefer Urban Decay All Nighter Spray. Brush or pat the loose eyeshadow on, depending on the foiling medium you choose. I find it works best if I apply all of my other eyeshadows first, then apply the foiled shade last. Whenever I foil my loose eyeshadow, I use short brush strokes, much like dashes. When I’m patting loose eyeshadow on, it’s almost like tapping or dabbing it onto the lid. You can also apply a loose eyeshadow, then use a bit of a foiling product on top, then finish by applying more of that same eyeshadow to make sure that the eyeshadow shade is vivid. After dabbing a bit of Pixie Epoxy on the back of my hand, I took a stiff angled brush and dipped that into the product on the back of my hand, then I used that to line the outer 3/4 of my upper lash line. After waiting for it to get tacky, with another stiff angled brush, I brushed Fyrinnae Because Cats on top of the Pixie Epoxy. If you’d still prefer not to use a sticky base, I highly recommend using Urban Decay All Nighter Spray or e.l.f. Makeup Mist & Set, which is a great MAC Fix+ dupe. You can lightly mist your brush, dip it into the loose eyeshadow, and pat the color onto the lid. See my Best Ways to use e.l.f Makeup Mist & Set. If you’re having trouble blending the seams of colors where you’ve used a foiling product, take a clean brush and dip that into the loose eyeshadow, tap off any excess, and then blend the edges. I also find that it helps if you’ve put down a base eyeshadow color underneath a more vibrant shade. Sometimes, taking a brush like the Makeup Geek Smokey Eye Brush to use for blending really helps. Even though these are the best ways to apply loose eyeshadow, all of these products and techniques work with pressed eyeshadows such as the Urban Decay Moondust eyeshadows or Heavy Metals palette, too. 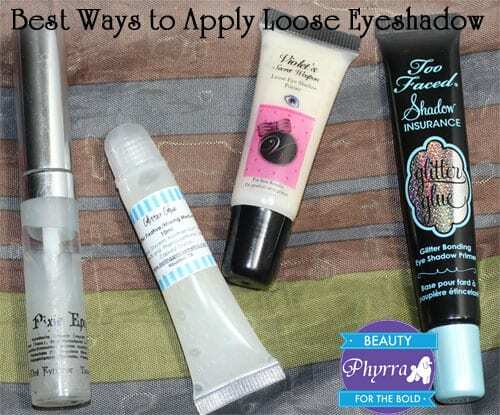 In addition to using loose eyeshadows as eyeliner and eyeshadow, here are some of the other ways to apply loose eyeshadow. You can mix loose eyeshadow with clear lipgloss (or even a colored gloss if you like) to add or change a gloss color. Press loose eyeshadows at the center of your lips on top of lipstick to add extra dimension and depth. Layer loose eyeshadow on top of gel or pencil eyeliner. Highlight the cheekbones with a loose eyeshadow like Sugarpill Ghosted. 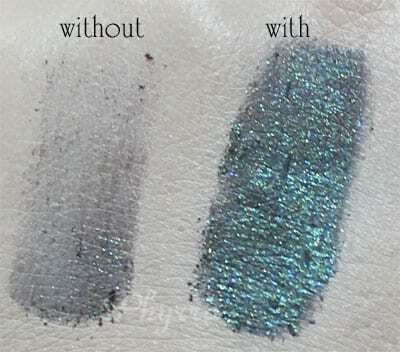 Mix loose eyeshadow with clear nail polish (in aluminum foil) to make a nail polish color. Try mixing loose eyeshadow with a moisturizer to create a luminizer for the cheeks. Mix loose eyeshadow with Urban Decay All Nighter Spray to create a cream blush that melds seamlessly into your skin. 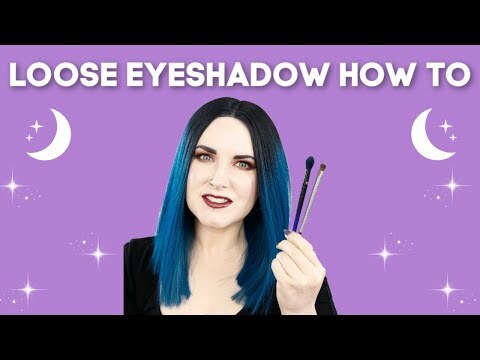 I hope my best ways to apply loose eyeshadow video gives you the confidence to try loose eyeshadows! They truly are gorgeous and versatile. 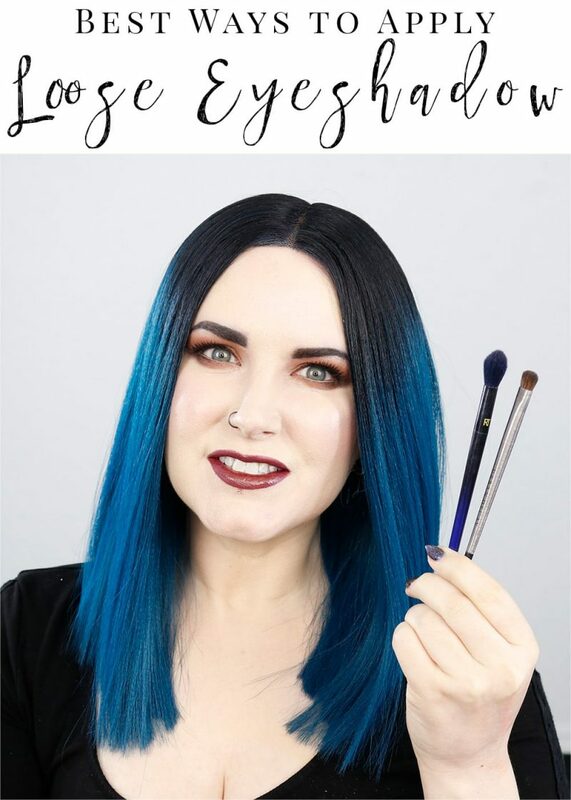 Check out my 8 Tricks to Make Eyeshadow Blending Easy! You might also want to check out 34 Life-Changing Beauty Hacks! Previous articleIs OGX Cruelty Free? Next articleIs Kate Somerville Cruelty Free? Great post! So many people find applying loose shadows confusing. Thank you for the tips! I have never used primer either. I guess I will be purchasing one now. Wow, i have never used any eye primer. I wasnt aware that it made such a difference. Thanks for the tips. Will this work for loose glitter…? For gliter you need a sticky base like Fyrinnae Pixie Epoxy. For someone new to makeup, this is such a helpful post. I am always tempted to buy loose shadows, but hesitant cause I don’t know how to apply them. Oh man, when I saw ‘Secret Weapon’, I was hoping that was referring to the name of a pigment, not the base-see, I’ve been wanting to buy Lumi, but there’s this $5 pigment from a brand called Jesse’s Girl that in the jar looks like it’d be very similar to Lumi, & the name of the pigment just so happens to be Secret Weapon, lol. What are the odds. I keep trying to see if it’s a dupe for Lumi, but I’ve never been able to find the two swatched together. Lumi is unique in my collection. Lots of similar, but not exact colors out there. I love my jar and haven’t finished it yet, but it’d one I would repurchase. This is a really helpful post. Loose eyeshadow and pigments are definitely my favorite and reading this just makes me even more excited to play with the ones I have without being afraid of it being a huge fail. I’ve never known how to apply loose eye shadows and since reading your blog, I’ve been dying to try them! Thanks for the tips! Thanks for linking up to WW from Oh My Heartsie Girl! I have pinned for my girlies! Great post 🙂 I have two loose eyeshadows myself and I love the additional ideas. Fyrinnae Pixie Epoxy! No way! My protruding orbital bones or sunken eyes (potato/potato) have made eye make up underwhelming. Some how Pixie Epoxy allow the shadows to diffuse light in such a way that my eyes finally pop. Now just waiting to find out if Benefits new eyeliner truly can give wings to the world… whenever, no rush. Thanks again for the gift of advice! My Favorite of the entire group is the Too Faced Glitter Glue because it has a tacky texture and lets loose shadows or pigments adhere very well. Love this I never knew they had products to do that and I have been a make up addict for a long time. Thank you for this. UD’s Anti-Aging Primer Potion seems to work well with my oily lids, but I’d not thought of doing one eye at a time! Love this article. It’s great for beginners and more advanced players alike. Great tips…thanks for this post! super interesting and helpful! you’re so good! oh..I love this post! It’s crazy what a difference using a base does. Thank you so much for this post! I’ve just started playing around with pigments and loose eyeshadow and this is super helpful! These are such great tips!! I think the best one is to take your time in applying! So often I am in such a hurry and while being in a hurry I have so much fall out! Great tip/reminder! I was just wondering. What is your opinion about Shiro Cosmetics because you didn’t recommend them in your list. Also, have you tried anything from Aromaleigh since the site opened back up? I had been buying from Aromaleigh back before they closed the first time around, and am unsure about ordering from the new site. 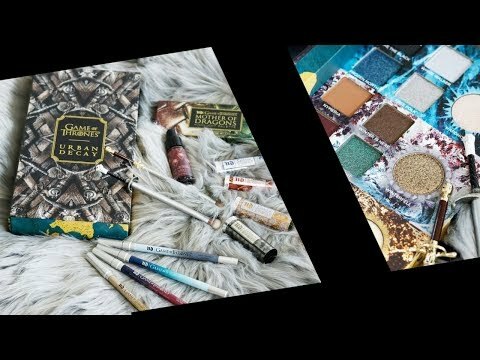 I just was curious about your opinion because I don’t see you using any Aromaleigh eye shadows anymore! 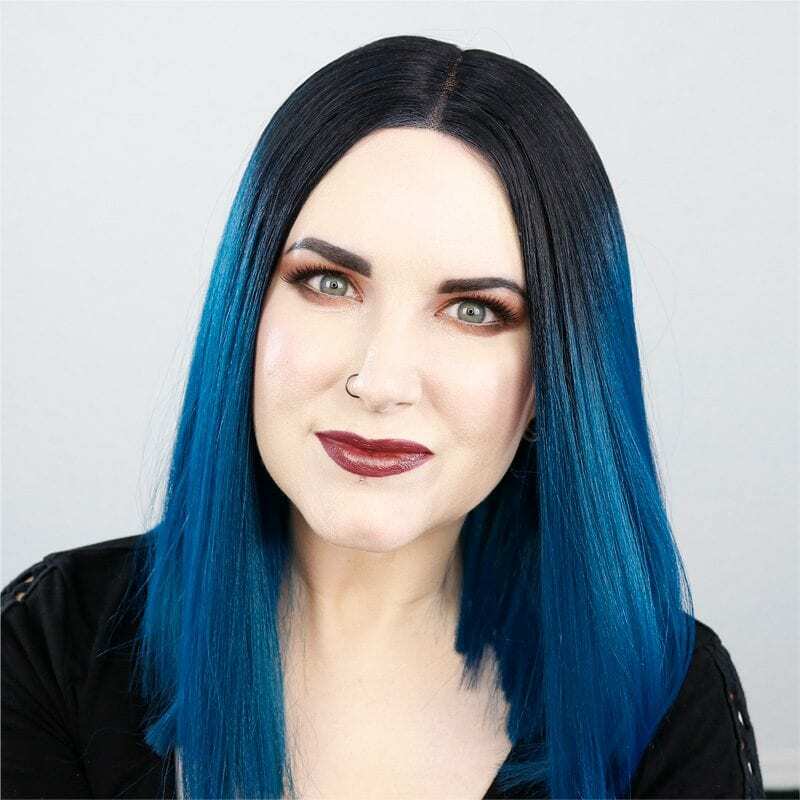 Although I’m not removing my reviews of Shiro or Aromaleigh products I’ve reviewed in the past, as my opinion of those products still stands, some matters have arisen which make me uncomfortable promoting them on my blog in any form in the future. I’m not sure what your experience was, but I just recently tried Shiro for the first time and am really happy with the colors, the pricing, and the fact that most of their shades are free of carmine, which I am allergic to. I won’t support Shiro on my blog, as I stated above. I don’t agree with things that the owner has said and done. This is a great post. I like using e.l.f.’s Glitter Primer – it really works! Yay! I’m glad you got a black.